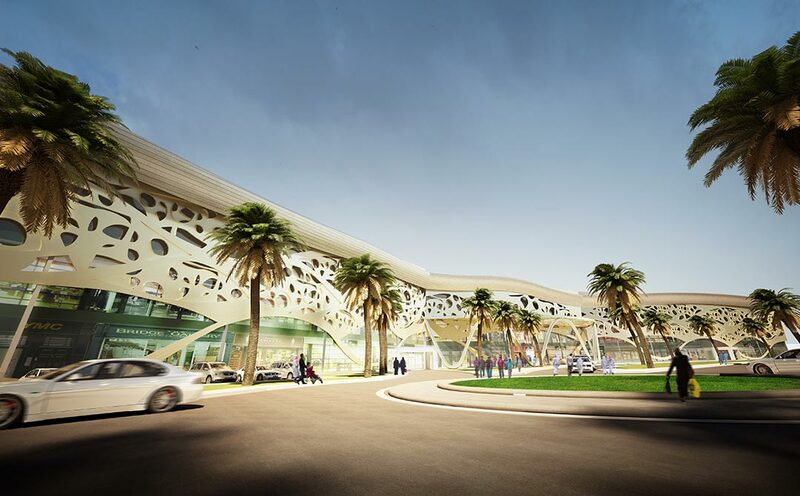 The design concept of this building is based on a traditional Qatari landscape, using the primary form of the sand dunes formation which crystallizes into a real pattern. Such a pattern is not only reflected in the facade, but also in the interior of the building. 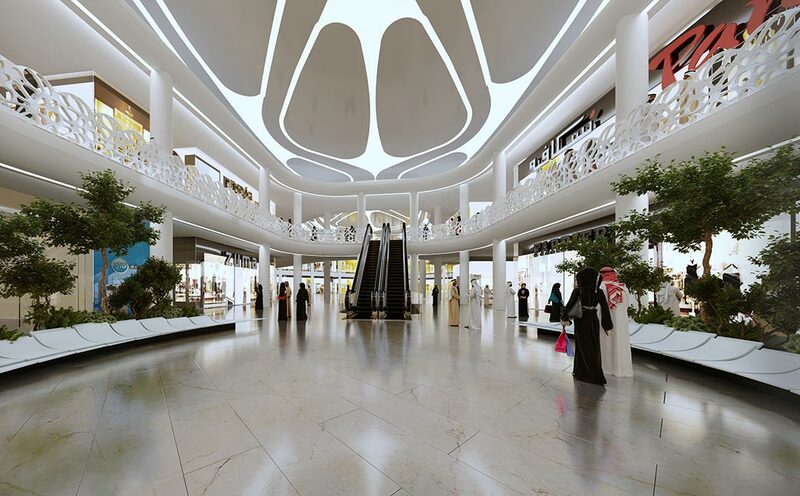 The main goal in designing this project was not only to design a Mall, but to design a socially interactive complex. A covered park in the complex with natural landscape creates the social environment where people come together in one place. The special attention was paid not only to the external landscape, but landscape was also moved to the inner spaces of the Mall, offering visitors green areas to enjoy during the hot summer days when movements are contained to the closed spaces. 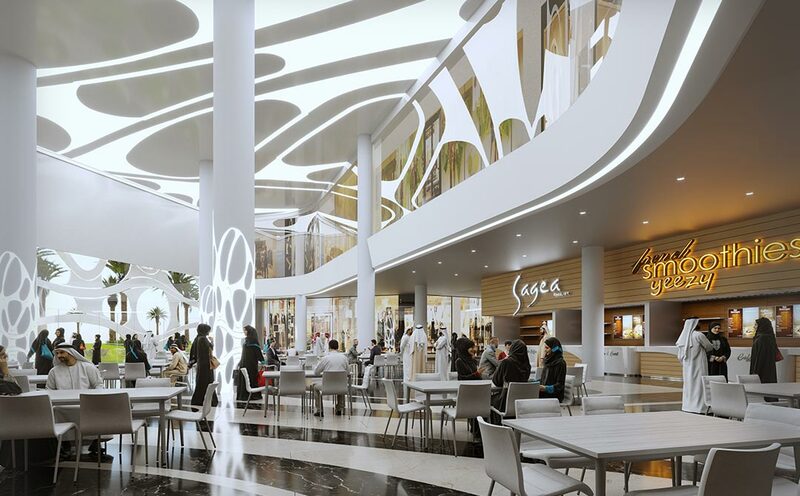 All of the retail and entertainment spaces of the Mall are carefully placed to maximize on the exposure and the foot traffic. Skylights provide natural light to the interior. The focus of this complex is the LULU Box, which crowns the entire shopping mall opposite the park and faces the main car parking area. 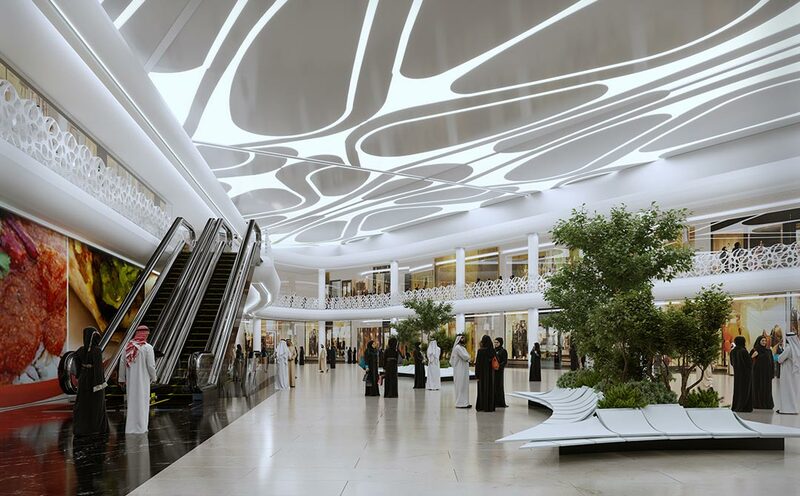 The entire mall converges into the core of its structural shape that links both of the main entrances, generating evenly distributed foot traffic. The complex facade system has been designed in an “easy assemble and production” manner offering modules that can be constructed and repeated through the project ensuring speedy project delivery.